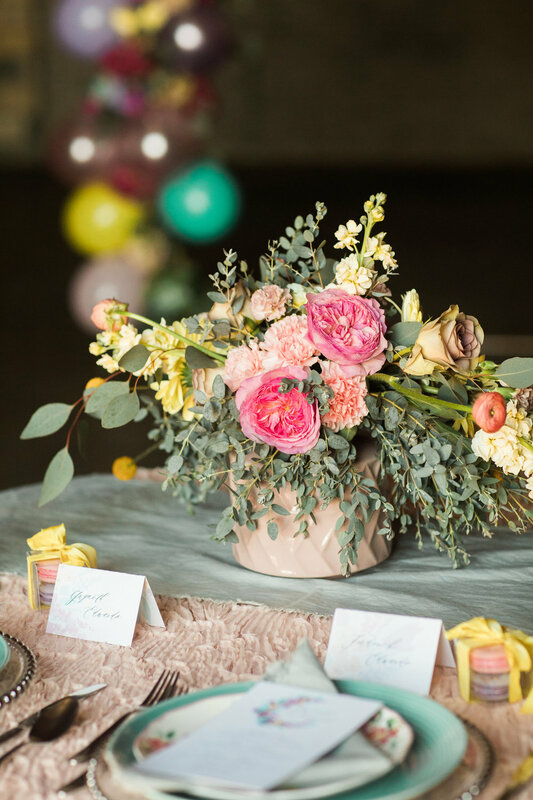 I had the pleasure of participating in a bight and colorful spring explosion styled shoot with some lovely wedding professionals from the Metro Detroit area. The shoot was hosted at the beautiful venue The Eastern in Eastern Market, Detroit. It's always so much fun to work with other small business owners to collaborate on a creative project like a styled shoot.